The underlying principle of most investment strategies is to buy low and sell high. Your personal risk tolerance level will determine your interest in investments that are more secure but may take a longer time to develop into higher value or if you will seek investments that are riskier, but if you get in early could yield higher values faster. The same is true for real estate, with the added benefit of a rental property providing monthly income while you wait for your investment to appreciate over time. With that in mind, here are some different strategic approaches to real estate investing that can help you decide which strategy is best for you. This strategy is best evaluated by simply looking at the CAP Rate of the Net Rental Income divided by your initial investment without factoring for any appreciation of the property value over time. In a balanced market you will typically find CAP Rates in the 4-8% range, but in a down market you can seek more aggressive CAP Rates in the 9-12% range or higher. Tenancy: One of the safest investments will be to find properties with tenants already in place. This is a safe and proven method of building a rental portfolio, but also has the least upside as there is a built-in cost of someone else having assumed the risk of improving the property and putting it in a position to generate cash flow. Vacancy: If a property is vacant or has a poor rental history, you may be able to negotiate a better deal than with a property that is already tenant occupied with a good rental history. In exchange for that better deal, you assume some of the cost and risk of filling the vacancy. Rehab: If you can find a property in need of some work to get it ready to rent, you can negotiate a premium price. In this scenario, you are assuming all of the risk involved with sometimes hidden costs on a rehab, but you also afford yourself tremendous upside and can end up with a very aggressive CAP Rate. Single Family: These properties will typically yield higher CAP Rates and lower vacancy rates. However, the main downside is they are 'lumpier'; meaning when you do have a vacancy you have lost a larger portion of your income. Multi-Family: These properties will typically require a higher down payment if you finance and will yield lower CAP Rates and higher vacancy rates. However, the main upside is more predictable and consistent income, due to a broader rent pool. This strategy is very popular during a real estate boom, as home prices appreciate quickly and the demand for real estate skyrockets. However, in most markets, this strategy can be very risky and only the extremely seasoned investor should attempt this strategy. Rehab: One approach to the short-term sale is to find a property in need of a great deal of work in the areas where the most value can be added. This allows for a property to be sold for max profit. This is a tough market that relies on finding the right unique opportunities and having the right rehab team in place. Wholesale: This approach involves finding purchase opportunities that others cannot find and getting properties at incredible discounts that can be sold for a profit to other investors without having done any work to the property. It requires a good network of both connections to sales opportunities and connections to investors looking for those opportunities. It will require cash and often, involves only owning the property for short period of time until it's sold to the next investor. This strategy is highly touted by get rich quick specialists, but extremely challenging to perform correctly. Premier Island Properties is your Lowcountry real estate resource. Contact us today for more information. 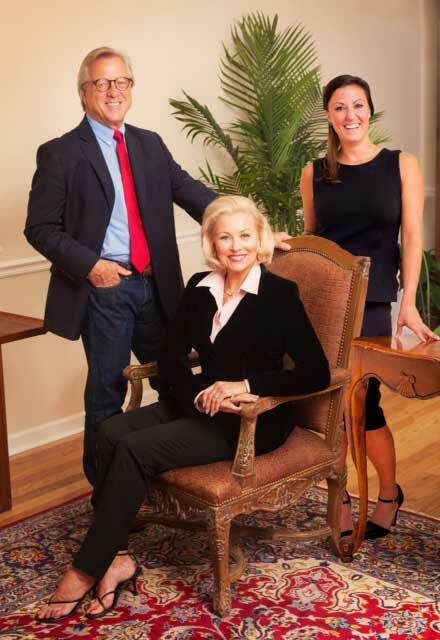 Our experienced real estate associates in Hilton Head and Bluffton, SC. have been actively engaged in the sale of select oceanfront property, upscale golfing communities, deep water estates, private plantations and islands for years.